Attorney Tanya Freeman has been selected as one of Morris County’s top family law lawyers 2018 by Morris/Essex Health & Life magazine in their summer 2018 issue. 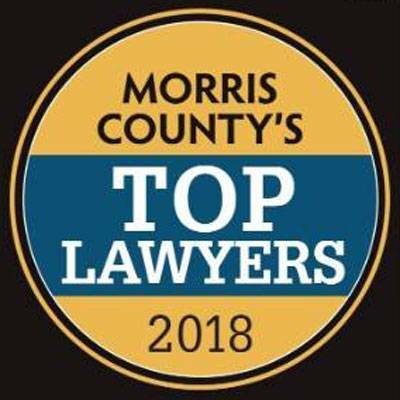 To help residents find the best attorneys in Morris County across 30 specialties, Morris/Essex Health & Life contracted DataJoe Research of Colorado to create an online peer-vote process for the Top Morris County Lawyers list. Attorneys across the United States were asked to select peers whom they deem are the best within their practice area, and who they would seek out for particular legal needs. DataJoe checked and confirmed that each published top vote getter had, at the time, a current, active license status with the State of New Jersey regulatory board. If they weren’t able to find evidence of a lawyers current, active registration, then they were excluded from the list. In addition, any lawyer who has been disciplined for an infraction by the state board was also excluded. Tanya Freeman is thankful to everyone who selected her for this wonderful honor. If you or a loved one is dealing with a family law issue, contact Morris County family law attorney Tanya Freeman to use her experience to help protect what you value the most.